College Humor likes to focus much of its comedy on the world of tech, and a rather entertaining new clip draws comparisons between girlfriends and iPhones. Like the video showing how a typical guy would use Google Glass, it brings modern technology into the crosshairs of common relationship issues, and the video, which is very funny indeed, can be seen after the break! The clip plays out in a typical prose detailing the story of a man that falls in love. 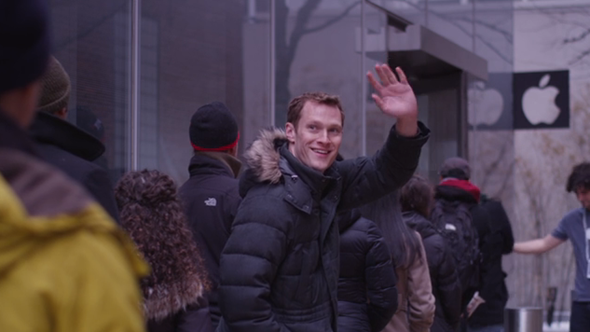 With a girl by his side in the queue for the next iPhone, you may think the narrator was referring to the female he appears to plant an affectionate kiss on as his new-found love. However, you would be wrong. Our friend ‘Jim’ the iPhone fan is actually falling in love with his new device, which looks to be an iPhone 4/4S, and for the initial time he and his new partner spend together, everything seems fine. 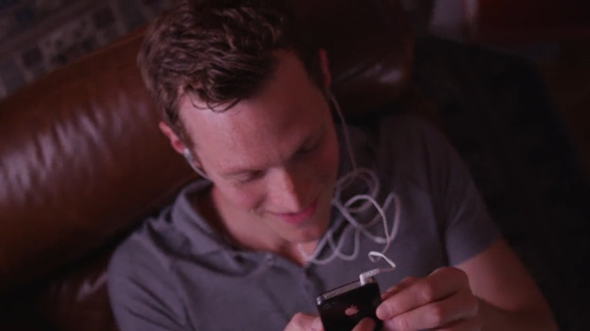 Spending every waking moment with “her” (“her” being the personified iPhone) the narrator details how he learns “new and exciting things” about her every day, to the point where he begins ignoring his friends. Does this sound familiar? Oh, but it gets better.. When he does manage time to see his buddies, it’s always to talk about how “slim and attractive” she is, and I think the vast majority of us, men and women alike, can empathize with this situation. Before long, things turn sour, and the arguments become a frequent occurrence. Jim is seen fighting in the street with her, and before long, he’s had enough and decides to leave. Cynics, of course, will definitely disagree with the above statement, since we all know that things scarcely change a great deal the next time around; just take the Galaxy S 4 and iPhone 5 as examples. Oh, you thought I was talking about relationships? Whatever gave you that impression?